Style, grace and creativity. These are all things we all wish to have in this day and age, especially with the social media industry becoming a marketing tool for putting ourselves out there and showing off our stuff! This month, we’re featuring one of our fab Funky Junkies who’s doing just that! Krystal, known as @krysstylzs on Instagram, has caught our eyes on multiple occasions. Krystal happens to be a fashion consultant and stylist (a stylish woman’s dream, right?! ), and she’s based right here in Houston, Texas! As you all know, we enjoy taking the time to get to know you all every time we get the chance, hence our monthly Funky Junky Features here on the ChatBox! So keep reading for more about Krystal, her style, our chat with her and find out how you, too, can be featured! Like a lot of our Funky Junkies, Krystal stepped out against others’ opinions to rock her natural! Krystal, like many of you, has a vibrant personality that feeds into everything she does. From running her consulting business to enjoying her free time and hobbies, she’s always on the go and seemingly always FABULOUS! We believe the beauty in people isn’t about what they can control, but what they do when they decide to let go of it! We often take what others say and let them control us, and we eventually come into our true selves when we release others’ ideas of us and just do LIFE. 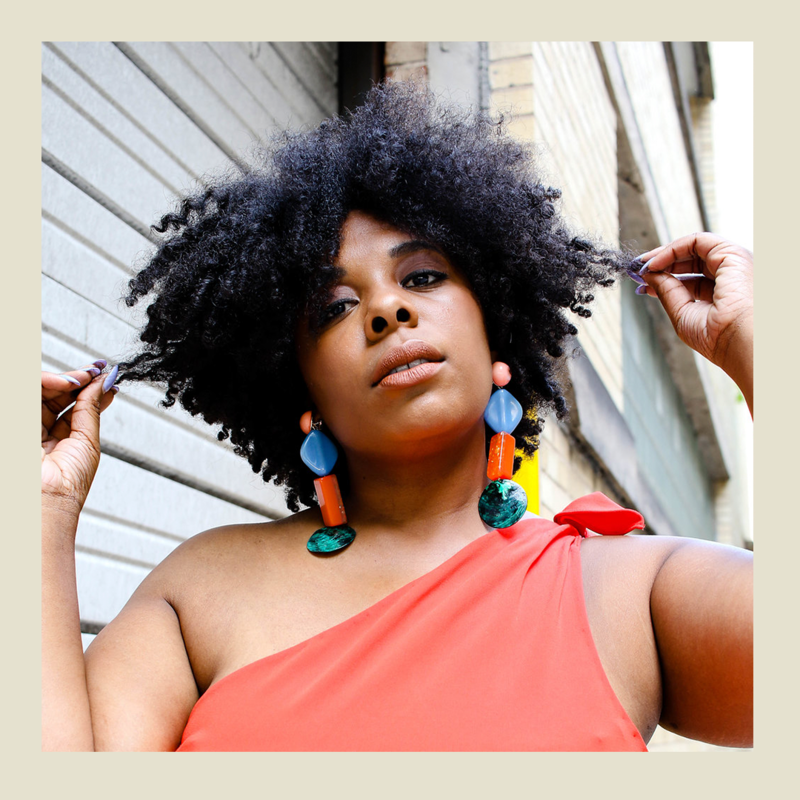 That’s how and why a lot of us start our natural hair journeys… Including Krystal! 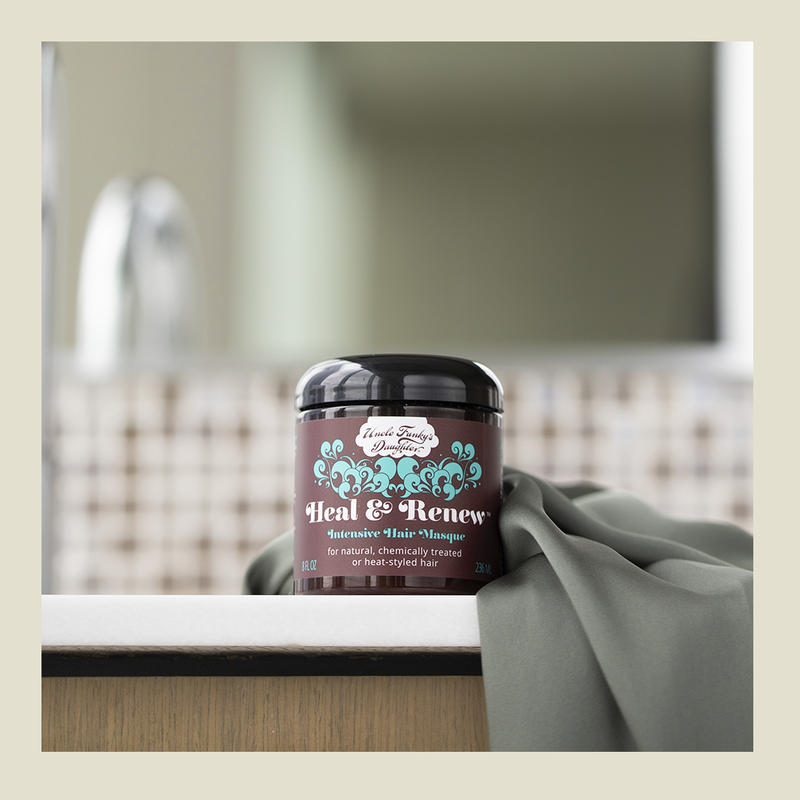 Our Heal & Renew Intensive Hair Masque happens to be one of Krystal’s faves from UFD! Check it out on our site! Once she took the leap, the next step was finding the right styles and products to fit her new look. Commitment to natural hair requires research! In Krystal’s case, this was a bit easier because she’s based in the same city where Uncle Funky’s Daughter was born (cool, right?)! Once she started using UFD, she couldn’t turn back, her favorite products being the Curly Magic Curl Stimulator, and our *new* products, Bye-Bye Buildup Cleansing Conditioner and Heal & Renew Intensive Hair Masque! Please continue to tag us in your hairstyles, providing feedback on social media and by contacting us; you are helping us grow, too! See you on the other side! Looooove this! Krystal is an amazing woman! She’s fashionable, feisty, and fearless! She commands every room she enters and she can really work a crowd honey! Her hair is always poppin’ even she didn’t try, so I’m sure UFD has something to do with that too!! She is definitely one of my hair inspirations so I think I need to try this UFD for myself!! Beautiful compliments! Krystal was such an inspiration to us also! Try us out and let us know what you think!! !